The family tree data is only for Registered users, so you will have to create an account. The former method of clicking on Login or Register has been temporarily suspended for Registration - but is available for Login. However if you have a genuine interest then use the Contact page to arrange Registration. After this you should receive an email giving further instructions. Only then will you be able to Login and access the family tree. Registered users should remember to log out of the private area. 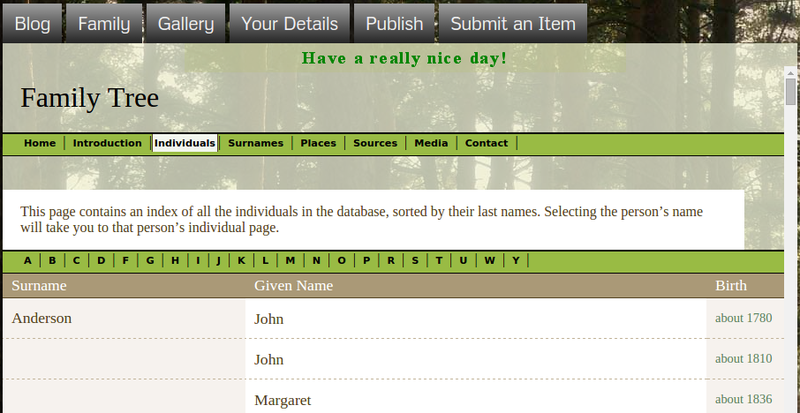 Once logged in registered users will have access to the family tree data. These images show pages from this area. The first two show additional pages, set up within the Gramps genealogy software, with the third one showing part of the first default Gramps generated page. 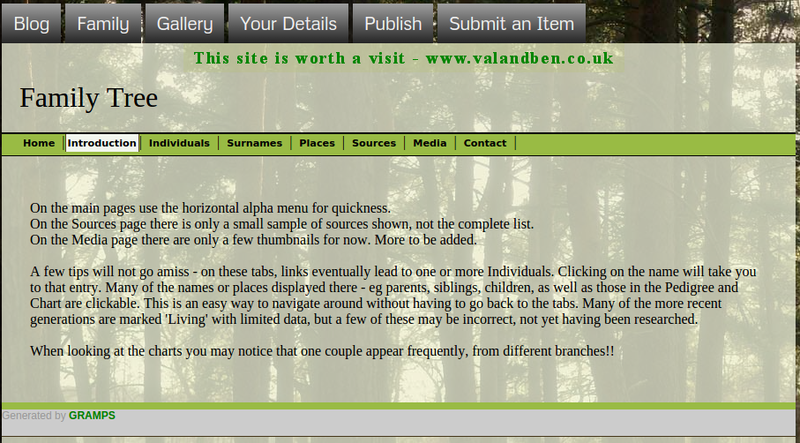 The menu there, coloured green to match the main site, will be familiar to Gramps users who generate web pages.. 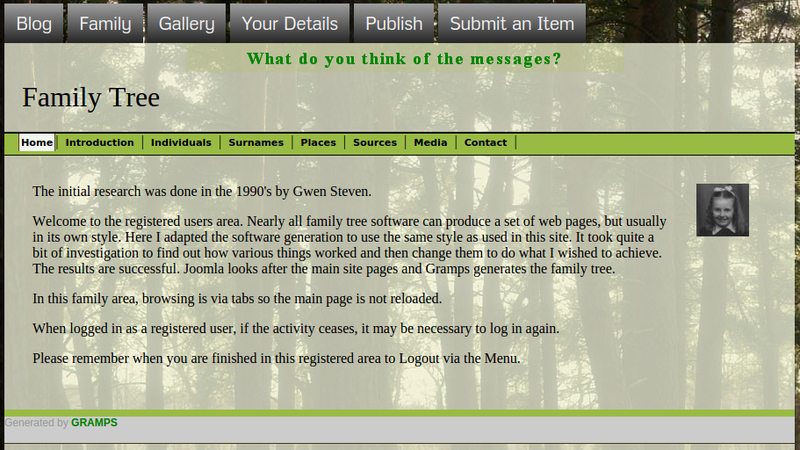 In addition when logged in a User menu appears, the top one in these images, which gives further options to the background of the family tree, including some galleries. Registered Users are encouraged to submit further information to add to the Family Tree, read the Publish page and the access the Submit an Item page.